In June 2014, I had the pleasure of working with Jesse and Amanda. I knew Jesse’s mom through my professional networking group. 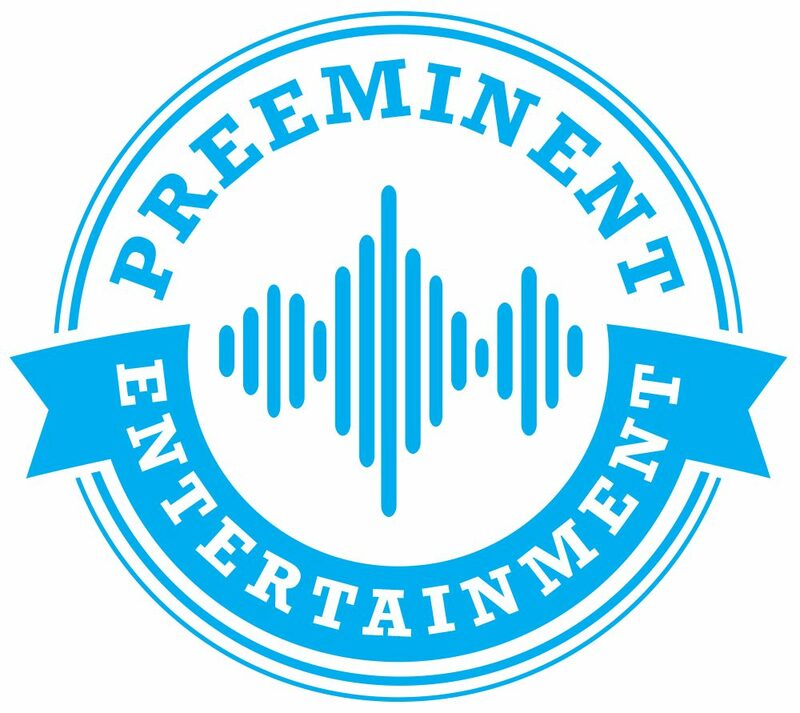 After our initial consultation, I knew I wanted to work with them. 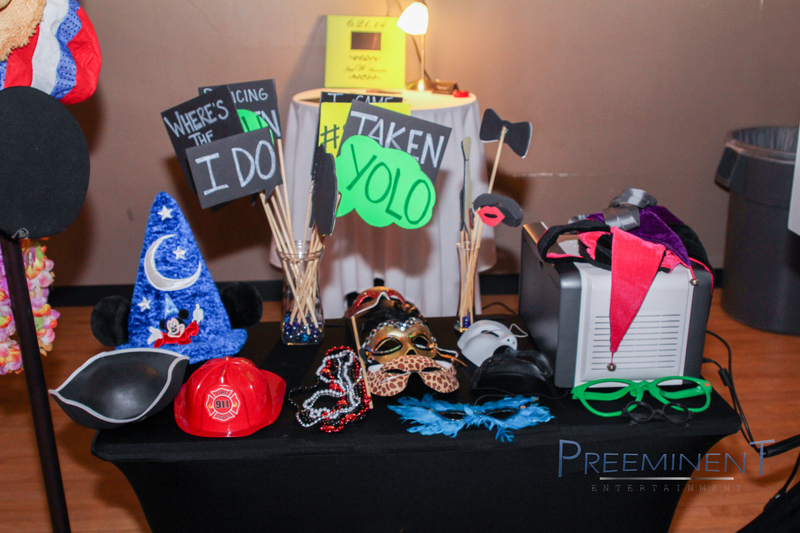 Jesse and Amanda are an awesome couple who wanted a fun wedding that included everyone. They didn’t like stuffy wedding receptions. Instead, they wanted interaction with the guests. We were able to bring that dream to life, and we really had fun with it! We incorporated bridal trivia to release the tables for dinner. 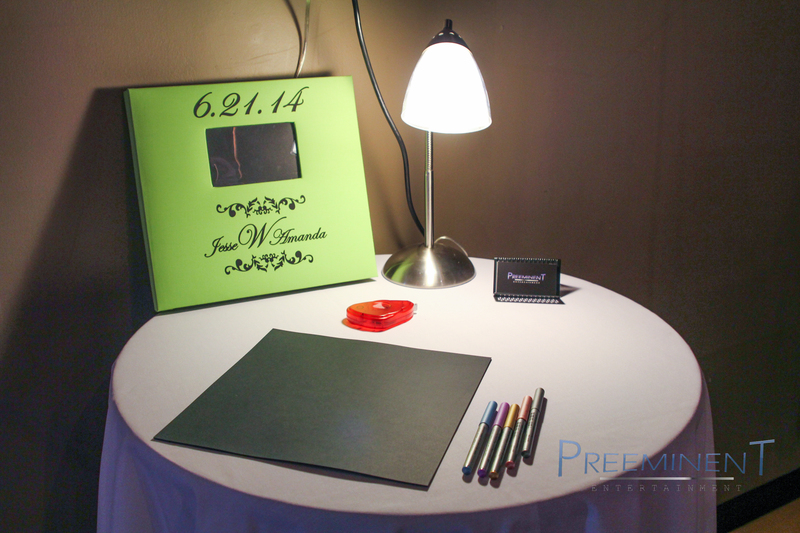 In order to be released to the buffet, each table had to answer a question correctly about the bride and groom. 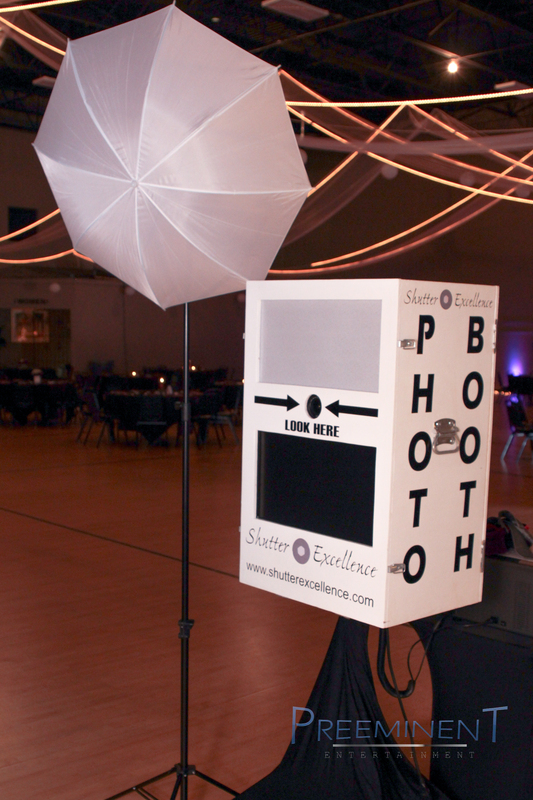 Jesse and Amanda also booked our Preeminent Package, so they not only had a good time dancing; their guests were also able to enjoy our photo booth. The Preeminent team also provided our “Dancing on a Cloud” low-lying fog effect. 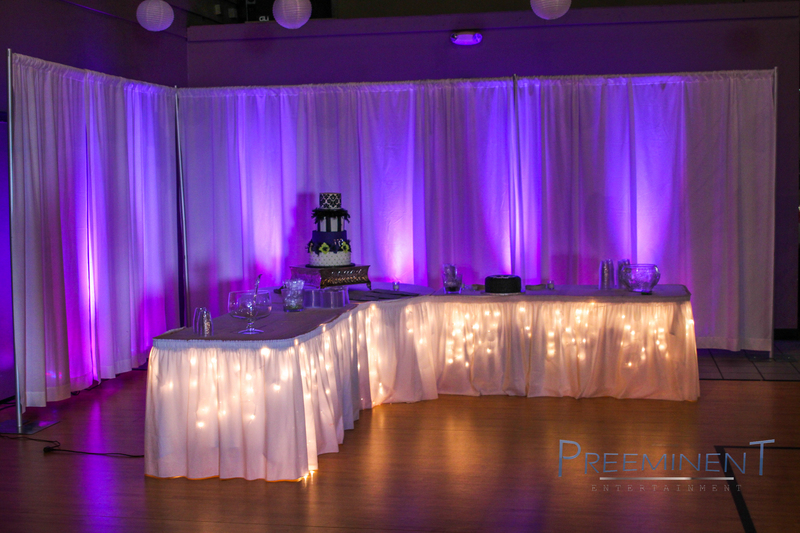 We also used white draping and lighting behind the cake table to hide some doors and dress up that corner. 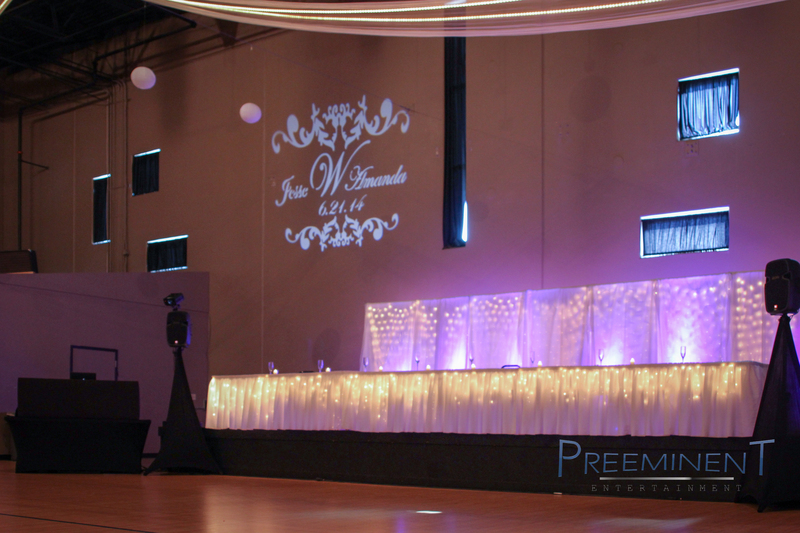 The reception was held at Courtside Banquet Hall, which is a great facility for large group events. Joel and his staff are awesome to work with!